KACH is a support group for about 40 homeschooling families in Kaufman County. We offer many activities including, but not limited to: field trips, moms night out, holiday parties, park days, and activities for tweens/teens. All of these activities are available to any member of KACH. We meet on the 2nd Monday of the month, from September to May, at Grace Fellowship Church in Kaufman, TX. Please drive around to the back of the church and enter the building through the gym. We meet at 6:30pm for a potluck, then begin our activities around 7:30pm. You are welcome to join us for a Family Night and meet the group before deciding to join. We would love to meet you and answer any questions you have. 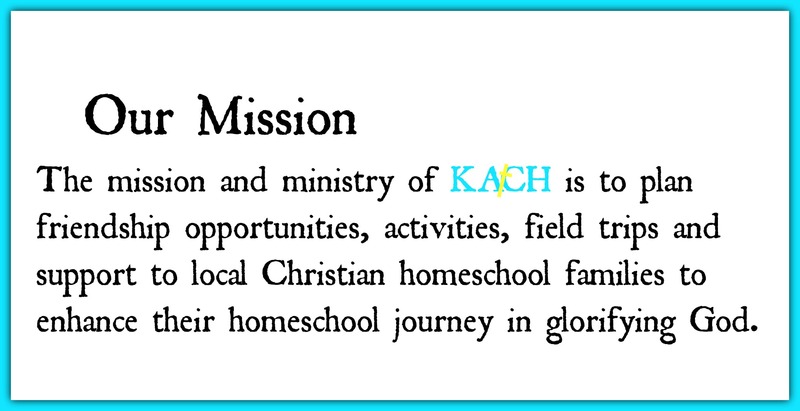 If you would like to join KACH, please click on the link below. If you have any questions or need more information please contact us at kchomeschoolers@gmail.com.